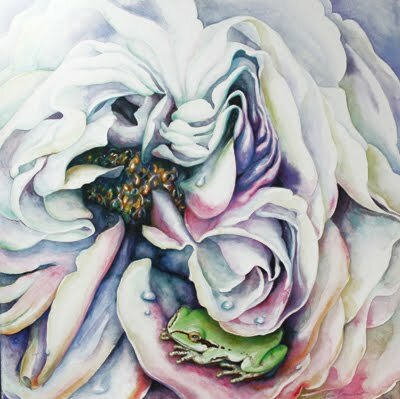 This illustration took 2nd place in OSA’s Rose Contest last June. I’m loving the clay surface of Aquabord… it absorbs water but pigment stays on top of the surface and can be removed as needed. That gives me the confidence to explore, as I can change what I don’t like. 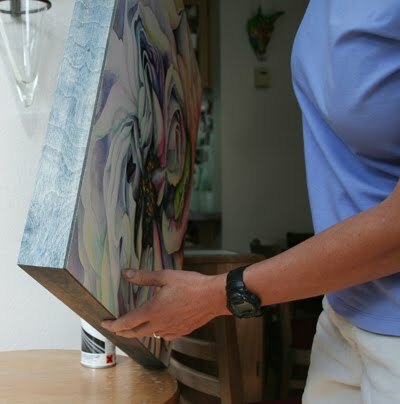 It’s easy to soften edges and the colors look so rich after varnishing. Plus, I love the ability to frame without glass. The wood cradles are a good, contemporary look. On this piece I’ve stained the wood to compliment the art, using thinned oil paints. One goal for 2011 is to actually WRITE in my blog at least once a week! Yeah, I know, it’s been three years since I posted last. So for starters, here’s a brief recap on 2010 — a very good year. …and the fall show in Salem with “Full of Grace”. A coincidence? Maybe not! Having regular feedback on my work is a powerful tool. It is the best way for me to grow in my painting right now. I am continually exposed to new ideas and different opinions. In 2010 I was involved in fund raising at OSA through a gallery event, SMALL TREASURES, that Sandra Wood and I sponsored. Over a hundred artists participated in making over 500 pieces of art, 6 inches square. It was a challenge to hang them all, but a wonderful show for OSA that generated a good amount of gallery sales, too. I coordinated the OSA workshop program, was a member of the board and designed the fundraiser brochure. I also taught regular classes at OSA and led two Art Media workshops there, VIBRANT WATERCOLOR on AQUABORD and PAINT MIXING DEMYSTIFIED. The wonderful thing about teaching a workshop is that I have to thoroughly know all the material myself. After many days of study, I’m sure I learned more than anyone about color mixing! I was also able to participate in two workshops. 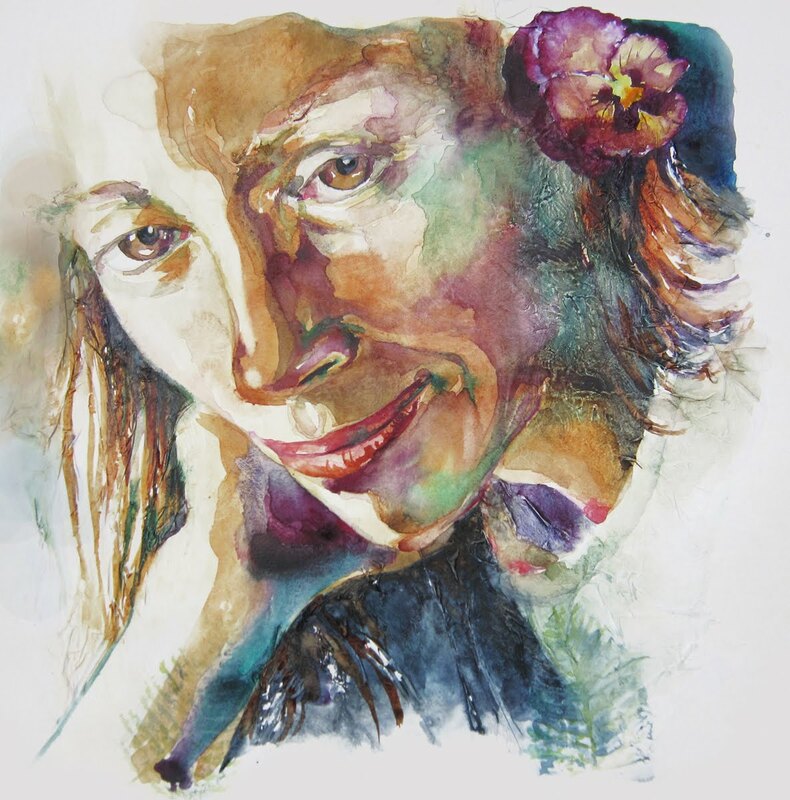 Myrna Wacknov’s Beginning Portraiture workshop led me into new territory using acrylic mediums and texture. 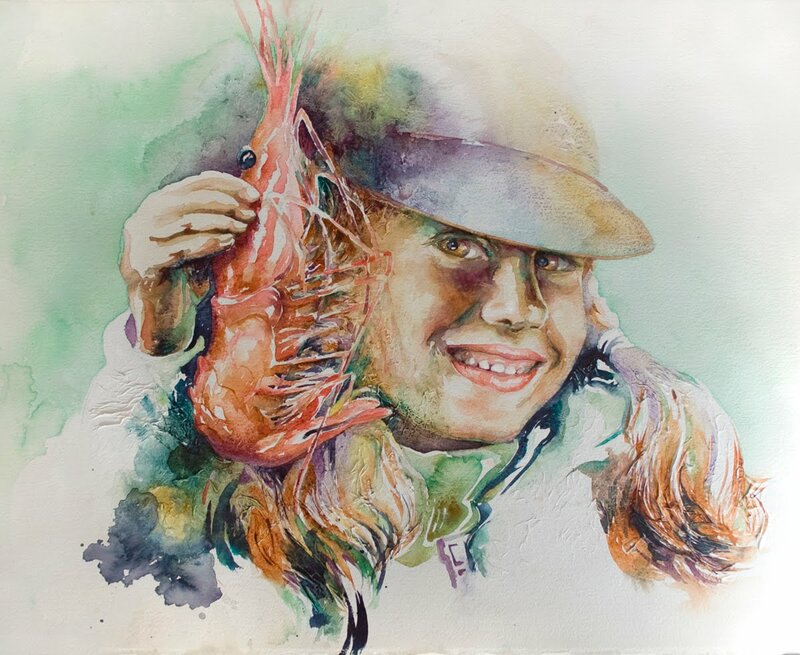 My self portrait and Caitlin’s Prawn are work inspired by the experience. 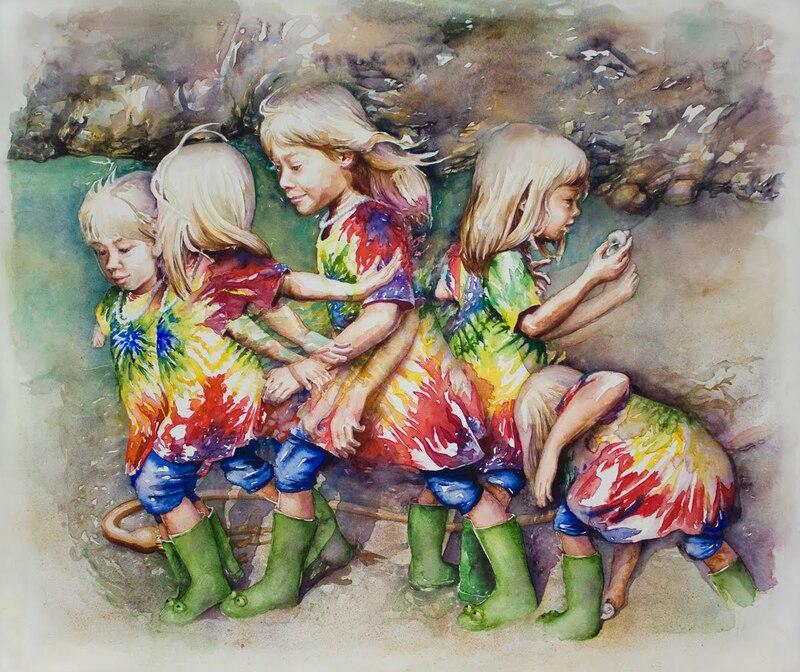 I’ve entered them both in the Western Federation Watercolor Society contest. Karen Vernon’s WSO workshop last fall was my first 5-day workshop. I didn’t actually finish anything in the workshop. 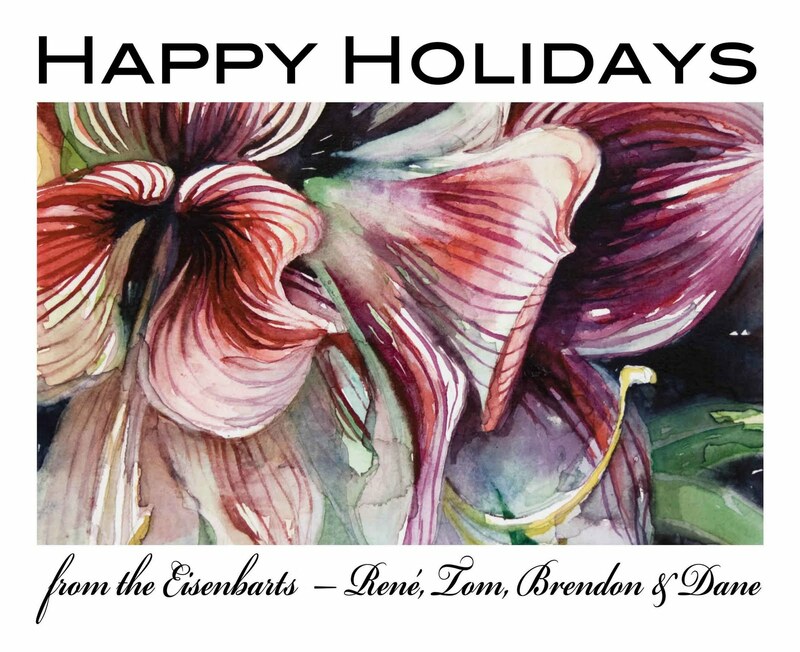 The Hibiscus painting was my focus on color. 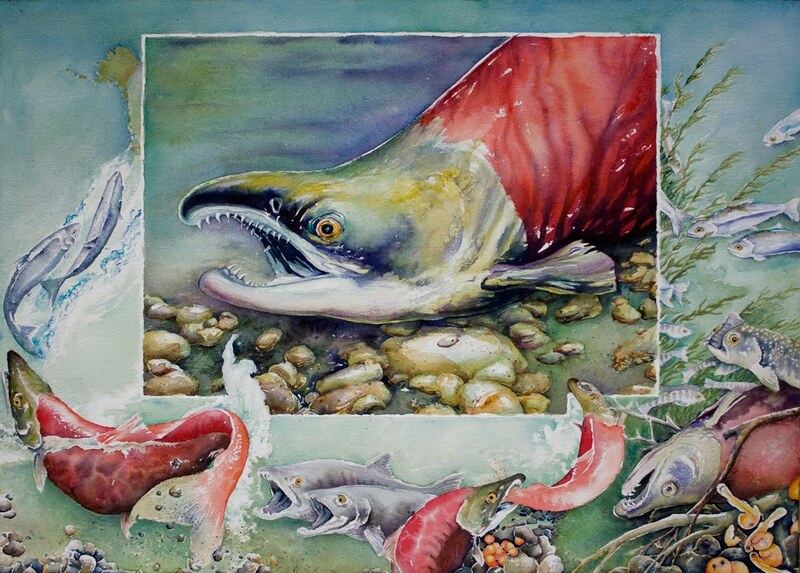 The most challenging piece I started was a painting of salmon, which I have yet to finish.